If you’re looking for some new outdoor games, use your smartphone and start playing off. Since there are so many fun outdoor games to choose from, So we’ve made a list of some of the best GPS games. 1. 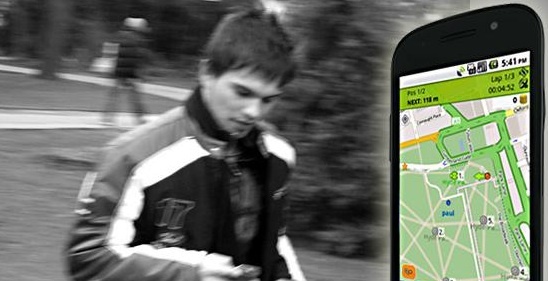 Tourality – This is a smartphone GPS game which leads you to the location of your game. You just need to choose exactly which sort of game you’re playing in advance, rest tourality does it for you. 2. Geocaching (& Travel Bugs) – Geocaches are hidden packages that contains useful bits and pieces which are mapped for to find people. You can freely take out or replace with something in the cache. Travel bugs and geocoins are objects with barcodes and/or serial numbers attached, usually with some sort of instructions as to where you want them to go. You leave them in a geocache and when someone finds them they read your instructions and take them to the next logical cache. Bugs are tracked via sites like geocaching.com. 3. 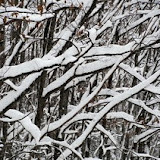 Geohashing – Geohashing is an XKCD invention in which a new hash is created each day for every graticule (that is, the area inside four confluences). Geohashing is being used all over the world. You may find plenty of geohashing apps for smartphones and the web which you can use to get the co-ordinates for the day’s geohash adventure. 4. 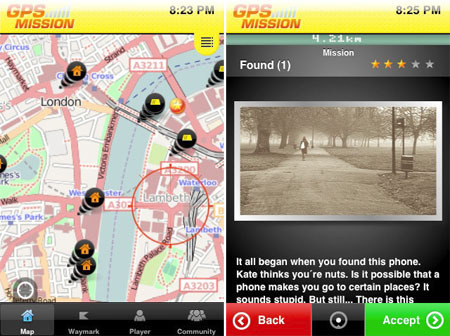 GPS Mission – Pick a GPS mission and get started with the adventure. 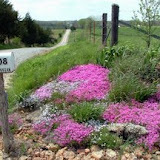 You are sent on a scavenger hunt adventure to reach destinations and answer questions. You can create your own missions for the site, involving locations of local buildings and historical sites. 5. Geodashing – In this game number of random locations are chosen and you are supposed to visit maximum number of these random locations. Player who visits the most locations before the deadline is declared as the winner. Head to thegeodashing site to start playing. 6. Locomatrix Treasure Hunt – This is game which lets you design a treasure hunt using photos. This application uses your GSP to determine how close you are or not. This is a good option for parents to prepare for a family outing. 7. 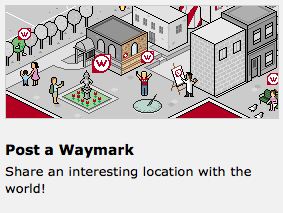 Waymarking – This lets you build a community map of cool places by sharing the co-ordinates and details of interesting locations. You can take part in scavenger hunts using your smartphone and the waymarks near you.